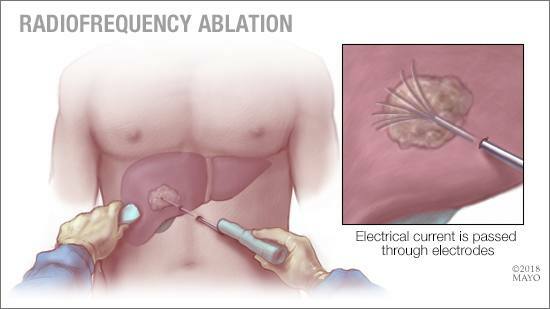 Radiofrequency ablation is a minimally invasive procedure that uses electrical energy and heat to destroy cancer cells. The radiologist uses imaging tests to guide a thin needle through the skin or an incision, and into the cancer tissue. High-frequency energy passes through the needle and causes the surrounding tissue to heat up, killing the nearby cells. Find out more about the indications for this treatment and whether it might be right for you. Cervical cancer that is detected early is more likely to be treated successfully. Most guidelines suggest that women begin screening for cervical cancer and precancerous changes at 21. Learn more about cervical cancer screening, staging and treatment. A cancer diagnosis may make you feel overwhelmed and helpless. Here are five steps to guide you in becoming a partner with your health care provider in decisions about your cancer treatment.